Shirley is 14.3 hands, and rides like the wind. She is smooth to sit, and pretty to look at. She is mountain tough, and traffic safe. Super ground manners, easy with her feet and good to ride for .....Follow along for MORE Details & Photos. This gal has been there done that, carries Jake Clarks brand on left hip, she has been part of pack strings and mountain terrain. She packs exceptionally well, steady and correct. Yet rides for .....Follow along for MORE Details & Photos. 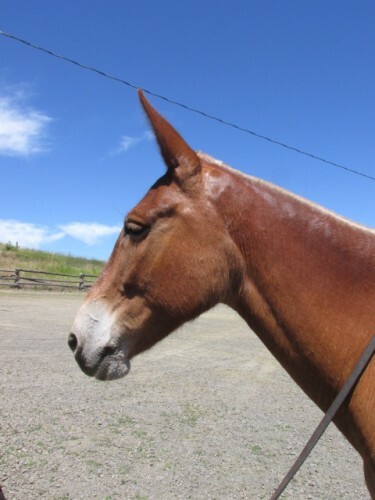 Dolly is only 14.1 hands tall, but she will travel safe and easy for about any rider, and keep up with any other long legged equine. 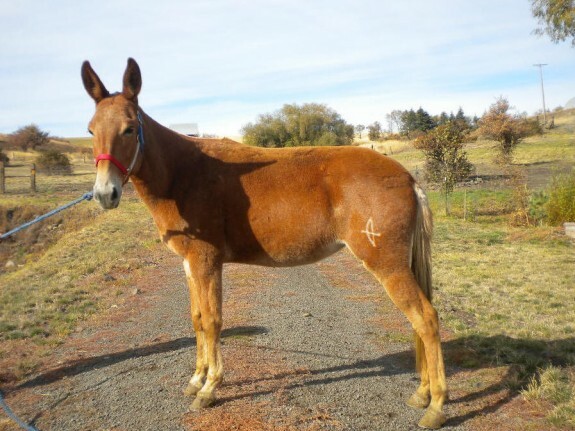 She is a sweet, sweet mule that loves attention. We have used her .....Follow along for MORE Details & Photos. 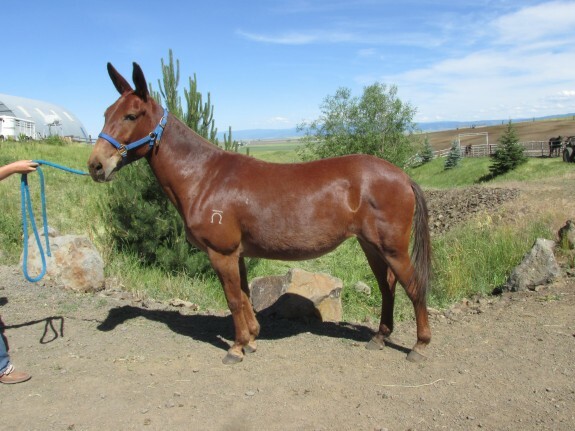 Charlie is a perfect size mule for any job you ask, he loves work and enjoys a challenge. 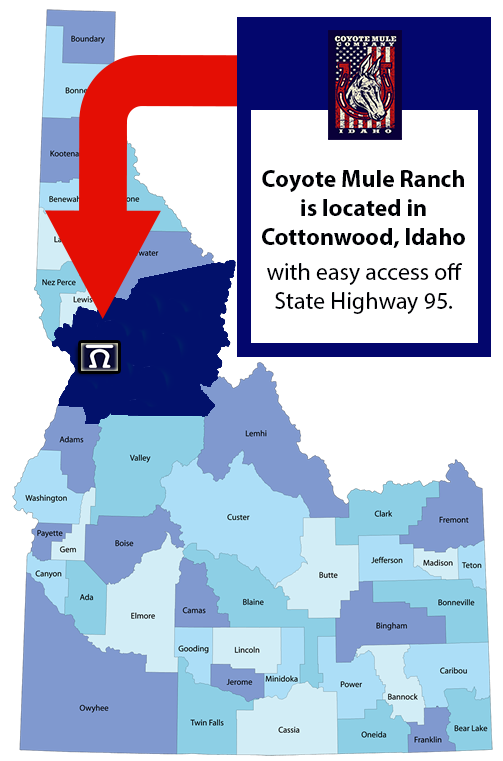 We have showed and used him across the west coast from Bishop to Montana Mule Days. 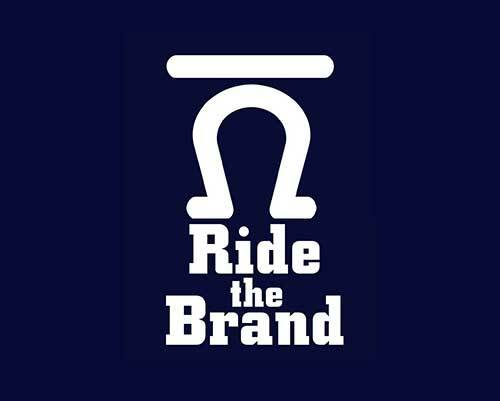 He can ride respectful in .....Follow along for MORE Details & Photos. Marbles is such a character to be around, he really has a easy going pleasing way about him. Life just doesn't seem to get to crazy or complicated for him. 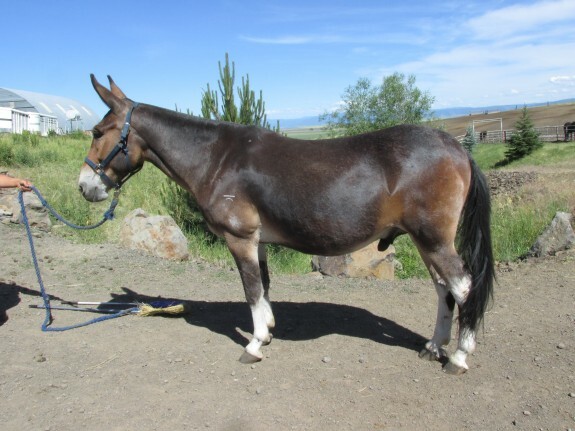 He is steady and willing to ride just about .....Follow along for MORE Details & Photos. 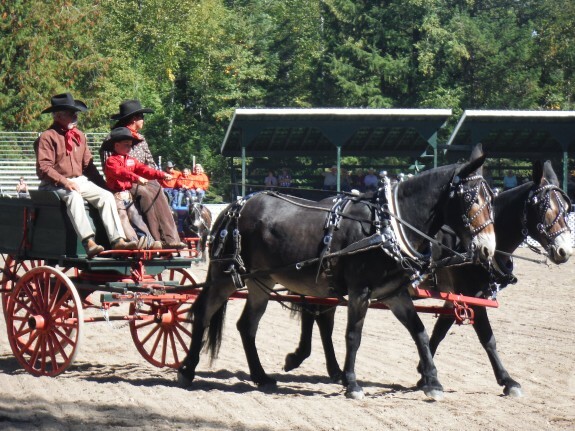 Nit & Pearl – 10 & 11 year old Percheron Molly team of mules, the best! 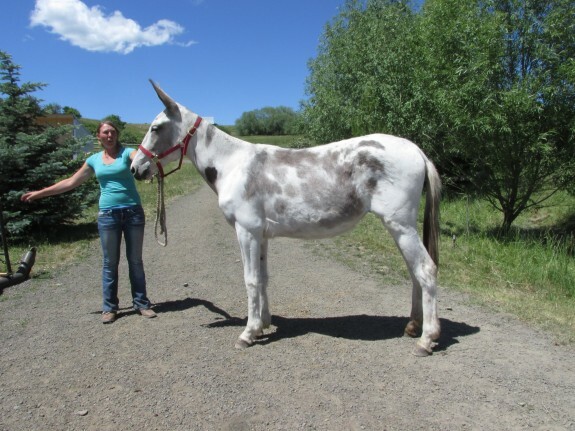 Nit & Pearl have been our personal team of mules for 4 years. 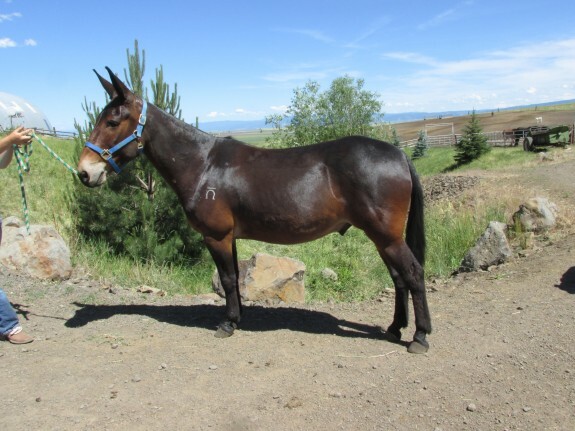 It is only because we are now showing Belguim mules that we are offering them for sale. This is an exceptional team in everyway. They .....Follow along for MORE Details & Photos. Spot catches us out in the pasture. She looks for attention, and has perfect ground manners. She loads, stands quiet to be trimed with either the clippers or for her feet. She is not spooky, .....Follow along for MORE Details & Photos.